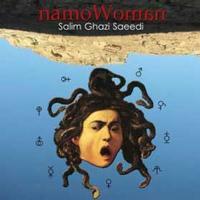 The latest disc from Salim Ghazi Saeedi, this one (like its predecessors) takes the sound in new directions. It is a lot more freeform and dissonant, falling in closer to Rock In Opposition. Fans of that genre will probably find this to be his best release of the bunch. All the talent demonstrated on his earlier albums is evident here. This is just another side of the coin. While the opening movement here feels a bit clunky and awkward, it has a real rocking sound to it. From there the cut turns towards some serious fusion and it has some great twists and turns. I particularly like some of the symphonic instrumentation that’s heard on this. The symphonic instrumentation leads this one out and then it shifts to something closer to RIO music. Sure there is still some fusion here, but it’s merged with more pure progressive rock and some definite classical music. It gets pretty noisy and chaotic at times, and there’s some smoking hot bass work in the number. This really works through a lot of territory. In a lot of ways this is even stranger. It’s got a lot of metallic crunch and it really has an ominous texture to it. There is still some fusion here, but overall this sits pretty well in the territory of hard-edged and dark RIO. The pounding sounds that open this are almost heavy metal. Symphonic music is added to the mix as this thing continues. There is also a bit of surf turned world music guitar in the arrangement. Psychedelia is included here, too. It definitely gets more into noisy RIO as it continues. Although the bass guitar at the start brings more of that RIO, symphonic elements are generally the only accompaniment for a while. This is very much like some form of twisted modern chamber music early on, but it grows out into more of a pure progressive rock arrangement from there. Later in the track it drops away and then symphonic instrumentation fights with electric guitar. The arrangement fills back out in this combative nature. Then it shifts towards more melodic from there. There’s almost a mysterious, tentative feel to this as it opens. As it gets a bit heavier, but no less tentative, it’s almost foreboding. It builds and moves extremely slowly. It’s quite crunchy, but also very free-form and RIO-like. Then around the minute and a half mark a bass line takes control and ushers in one of the most effective jams of the whole set. It’s still quite freeform and a bit strange, but there’s almost a King Crimson kind of vibe to it. That bass line really does some amazing stuff as this carries onward. It keeps getting reworked, but overall this is the most dramatically rock oriented piece of the set. It drops down around the three and a half minute mark, though, to a much mellower and sparse arrangement. That section ends the piece. Another that comes in slow and tentative, there’s a hard edged, almost heavy metal approach early on in the number. From there the ride manages to hit on a lot of different sounds from pure fusion to surf music and more RIO. World music sounds start this, but then the bass brings in more of the kind of sound we’ve become accustomed to so far. As it continues, the arrangements gets more filled out and more of that fusion meets RIO approach is heard. It’s one of the most dynamic and freeform pieces of the whole set as it continues. More of a pure jazz approach opens this, but it shifts pretty quickly to something harder rocking. There’s some more of that cool surf music later in the number. They shift that to some fairly mainstream progressive rock at times. Then a false ending gives way to just piano. The evolution is far from done, though as this just keeps getting shifted and rearranged.